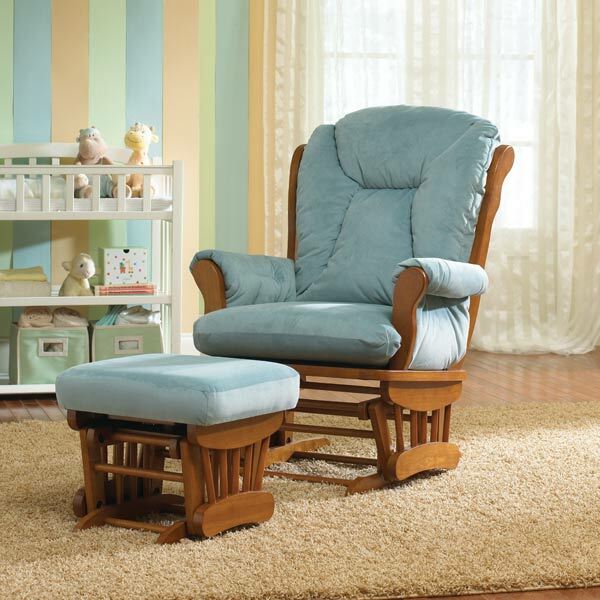 Many consumers have demanded a wooden glide rocker with a slightly wider seat than most. Not only does this aid in the feeding of an infant, but allows for more room for “cuddle time” as the child grows. This unit features a seat several inches wider than similar models. Traditionally styled it is highlighted by a stylish sewn back and cushions that envelope the arms stretching from the seat. 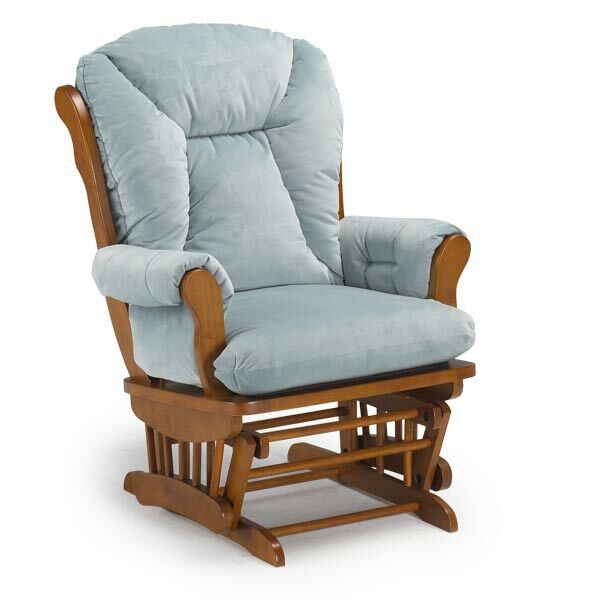 It is also available with a 10-position locking feature to ease in the entering/exiting, as well as a reclined position.